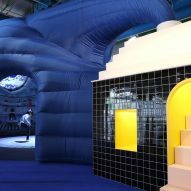 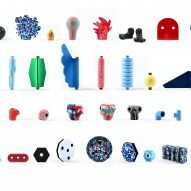 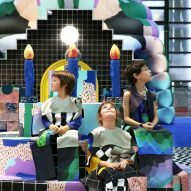 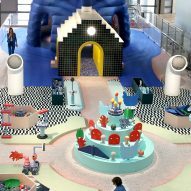 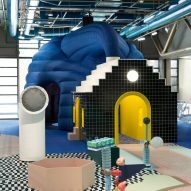 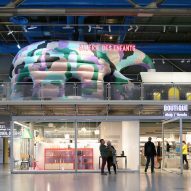 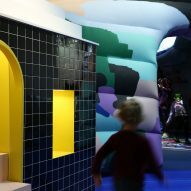 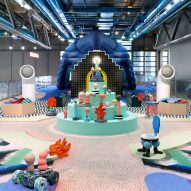 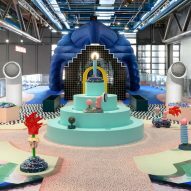 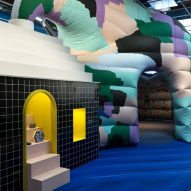 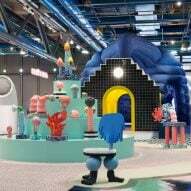 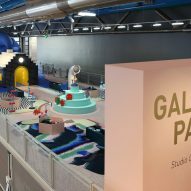 To celebrate the Centre Pompidou's 40th anniversary, Paris-based studio GGSV has designed an interactive installation for children in the Galerie des Enfants exhibition space. 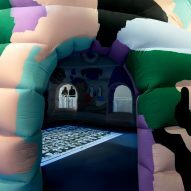 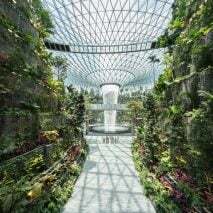 Devised as "a fictional journey into the heart of the National Museum of Modern Art", the immersive event is arranged into three acts that feature a collection of multidimensional sculptures, an inflatable house and a performance by Chinese artist Liu Bolin. 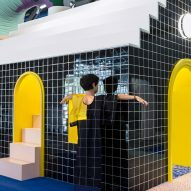 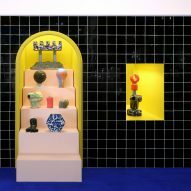 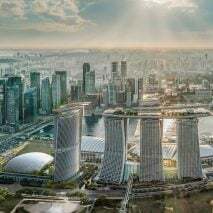 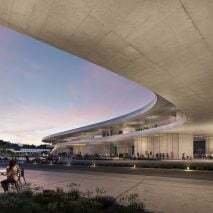 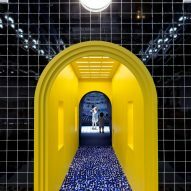 "In response to the Pompidou Centre's invitation to celebrate its 40th anniversary, we had in mind the idea of a home, both welcoming and extravagant, a metaphor for the Centre and its history," said the designers. 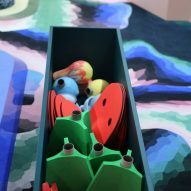 It follows the narrative of two fictional characters, Gellaé and Séphante, who have been walking the halls of the museum's exhibitions and galleries for 40 years. 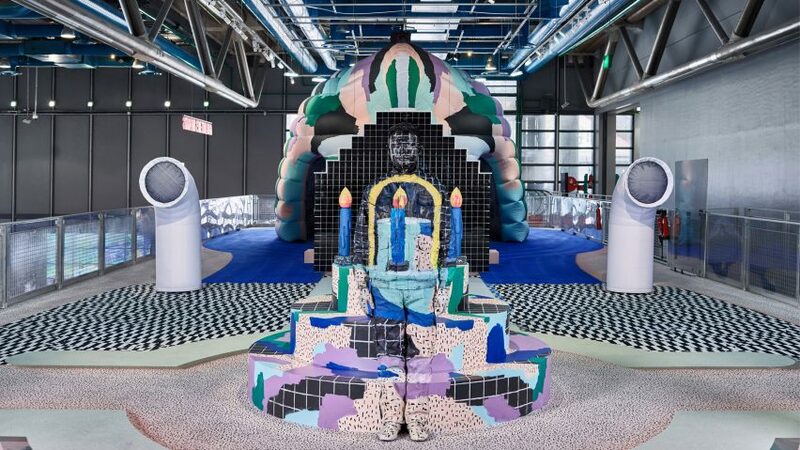 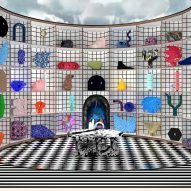 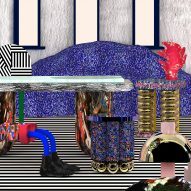 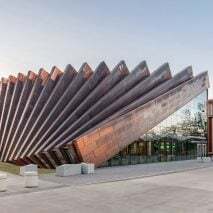 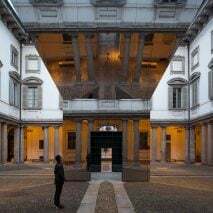 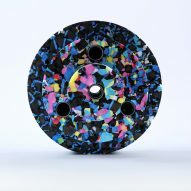 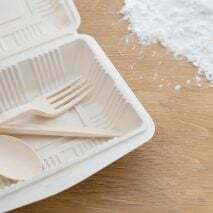 "By observing works of art that they do not always understand, they have taken the liberty of distorting and appropriating forms, colours and textures in order to build their own world," the designers explained. 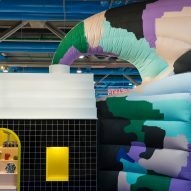 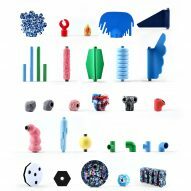 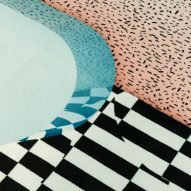 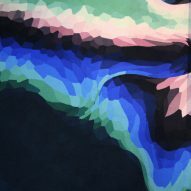 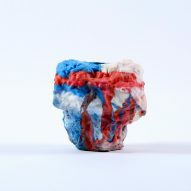 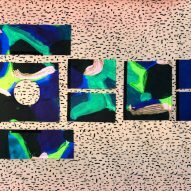 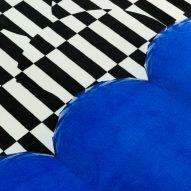 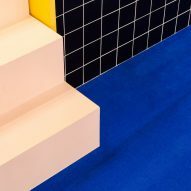 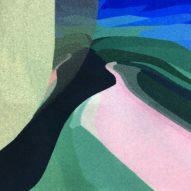 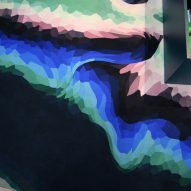 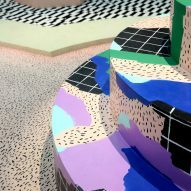 The result is a combination of brightly coloured, abstract structures and landscapes that reference artists such as René Magritte, Sol LeWitt, Karel Appel and Salvador Dali, whose work can be found in the Centre Pompidou. 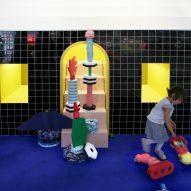 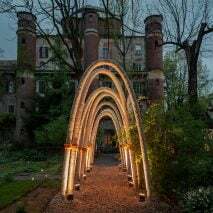 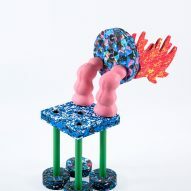 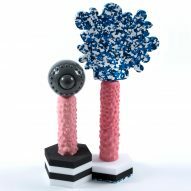 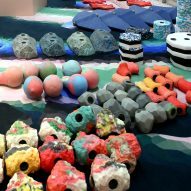 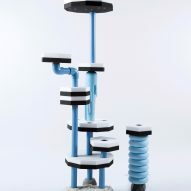 The installation begins in a "surreal garden", where children are invited to assemble a series of freestanding objects that can be arranged and combined interchangeably. 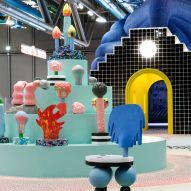 A central sculpture that looks like a multilayered birthday cake is positioned at its entrance and is decorated with a series of candle-like figurines. 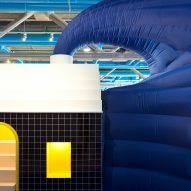 A large inflatable house flanked by two white ducts stands at the foot of the garden – a playful reference to the centre's trademark exterior. 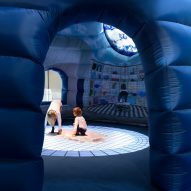 This gives way to a patterned dome that is illuminated by a marbled "skylight". 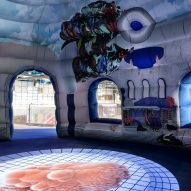 "We wanted to offer children a totally immersive environment that they could modify and occupy with their own creations," the designers said. 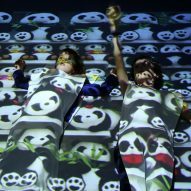 "We wanted to share with them the pleasure of composing, of creating freely and joyfully." 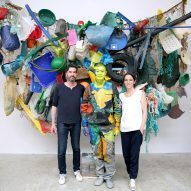 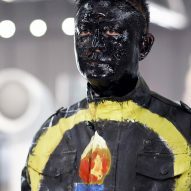 The second act of the workshop is led by performance artist Liu Bolin, also known as the Invisible Man, who camouflages himself in the environment using a hand-painted outfit. 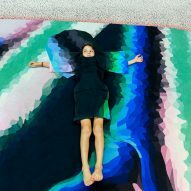 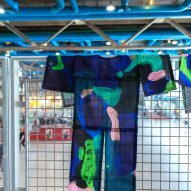 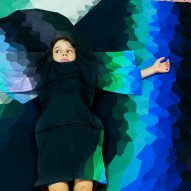 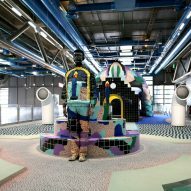 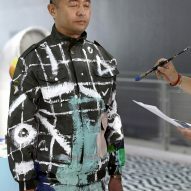 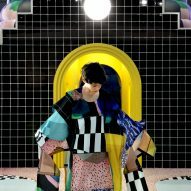 The outfit used by Bolin is then displayed in the exhibition space and becomes the starting point of various costume games where children are encouraged to camouflage themselves by using patterned garments and photographic projections. 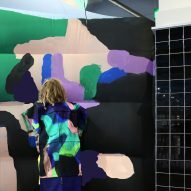 Taking place in January, the final part of the Galerie Party will see the installation covered completely in white by French artist Morgane Tschiember, in an attempt to evoke the winter months. 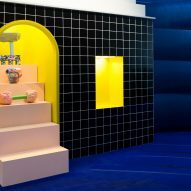 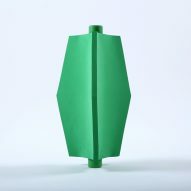 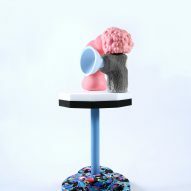 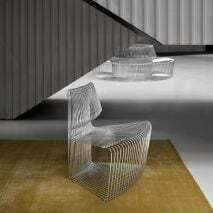 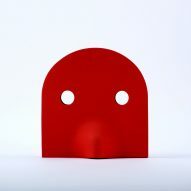 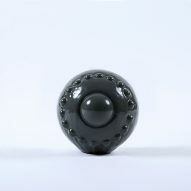 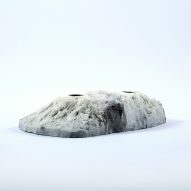 Studio GGSV was founded by Paris-based designers Gaëlle Gabillet and Stéphane Villard in 2011. 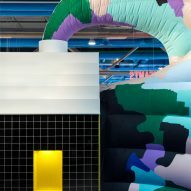 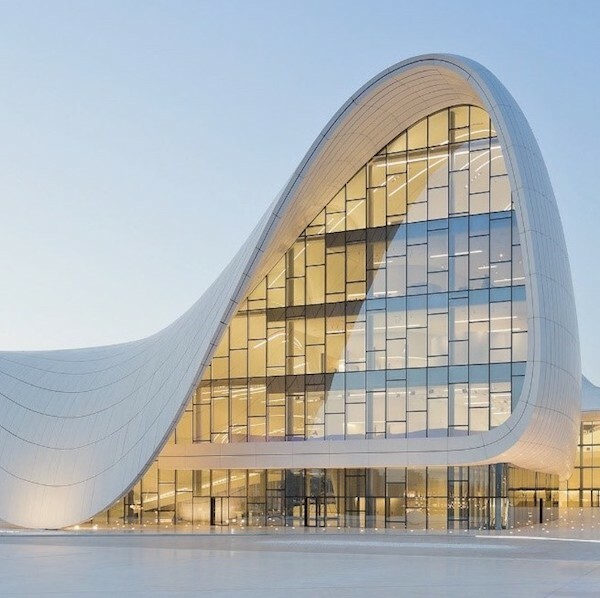 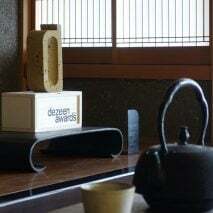 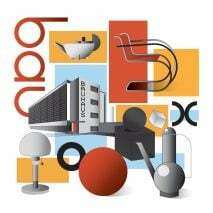 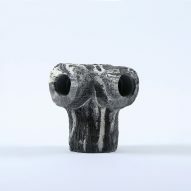 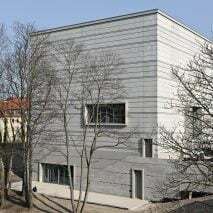 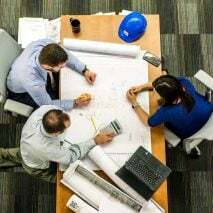 Their association produces a unique expertise that ranges from curatorial projects, scenography, product design, interior design to forecast studies for the industry. 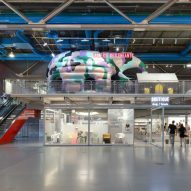 The Centre Pompidou was designed by Richard Rogers and Renzo Piano in 1977, and has seen more than 150 million visitors pass through its doors.